Summertime is now in full swing, and it's also a period of transition within the mobile world. With the exception of a brand-new smartphone that wields a 41-megapixel shooter, our buyer's guide hasn't changed much since the last installment, but that's not to suggest the market is stagnant. On the contrary, high-profile smartphones such as the next iPhone, the Moto X and the successor to the Galaxy Note II are in the pipeline, and there are even rumors swirling of a larger BlackBerry. Likewise, two of the world's premiere smartphones -- the HTC One and the Galaxy S 4 -- are now available with stock Android directly from Google, which brings the added promise of timely software updates. Mobile carriers are changing the game too, thanks in large part to the T-Mobile Jump program, which allows customers to upgrade their smartphone every six months. AT&T Next and Verizon Edge will soon provide similar (albeit more expensive) offerings, with upgrade eligibility that comes once per year. Even Sprint is doing its part with Unlimited, My Way, which promises unlimited data for life. Whether you're looking to purchase a new handset right away, or you're simply evaluating your options, Engadget's smartphone buyer's guide is the definitive resource for finding the very best smartphones on the market today. We'll be here when you're ready. 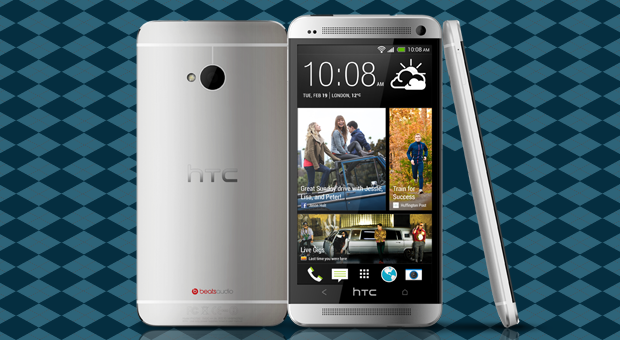 Quite simply, the HTC One is the best, most well-rounded smartphone on the market today. Not only does it fuse exemplary design with chart-topping performance, but it also combines the finest mobile display we've ever seen with a versatile camera that excels in low-light situations. Beyond hardware, the One features a unique, social-centric home screen known as BlinkFeed, along with Zoe camera functionality, which weaves still pictures and short clips into lovely, 30-second creations that bring life to your photos. Purists may appreciate the HTC One Google Play edition, which features the latest version of stock Android 4.2.2 and is sold unlocked directly from Google. The bottom line: The HTC One raised the bar for all smartphones with its gorgeous display, versatile camera and impeccable design. It's currently the standard by which all other smartphones are judged, and it remains the One to beat. Key specs: 4.7-inch 1080p (1,920 x 1,080) S-LCD 3 display, 1.7GHz quad-core Snapdragon 600, 4MP rear / 2.1MP front cameras, 32GB / 64GB non-expandable storage, Android 4.1. We reckon it'd be difficult to make a device much larger than the Galaxy Note II without sacrificing pocketability or ease of use, and besides, this phone is nearly ideal if you're seeking an extra-large display. 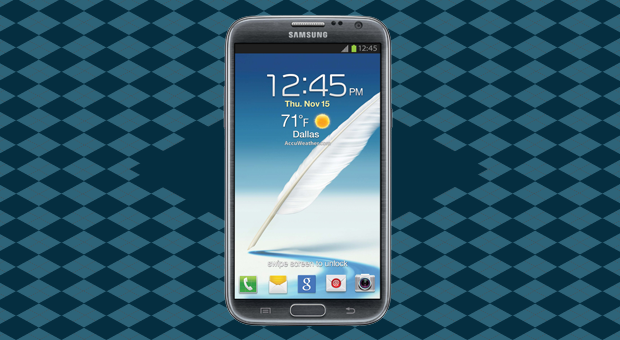 The Galaxy Note II's jumbo-sized 5.5-inch screen is well-suited for viewing web and media content (especially if your eyesight isn't all that great), and thanks to its S Pen stylus, the phone's also a capable replacement for a traditional notepad. Combine this with one of the better cameras on the market and a beefy 3,100mAh battery that goes for miles, and it's easy to understand why the Galaxy Note II is a popular choice, regardless of its niche appeal and high cost. That said, the phone is also coming due for a revision, and if history is any indicator, Samsung may announce the successor to the Galaxy Note II in September. The bottom line: If you're seeking either an extra-large display or stylus functionality, the Galaxy Note II is a great choice that's currently without a rival. Key specs: 5.5-inch 720p (1,280 x 720) Super AMOLED display, 1.6GHz quad-core Exynos 4412, 8MP rear / 1.9MP front cameras, 16GB / 32GB / 64GB expandable storage, Android 4.1. 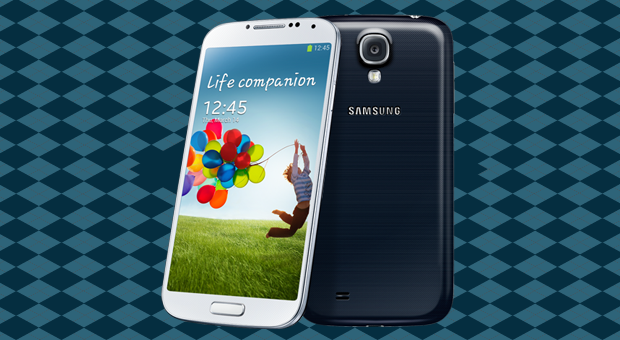 Alongside the HTC One, the Samsung Galaxy S 4 stands as one of the premiere Android smartphones on the market today. Sure, it lacks the premium fit and finish of the One, but the GS4 remains a compelling option that offers superior battery life, expandable storage and a plethora of unique software features. The Galaxy S 4 features a 13MP camera that delivers impressively detailed shots in daylight, but it lacks optical image stabilization, which is a hallmark of other high-end competitors such as the One and the Lumia 1020 / 920 series. Some shoppers may appreciate the water-resistant Galaxy S4 Active, which is currently exclusive to AT&T, but it's hindered by inferior battery life, a subpar display and an 8MP camera. Meanwhile, the Galaxy S 4 Google Play edition is arguably the best stock Android smartphone yet, which offers Google Wallet and supports a vast array of cellular bands. The bottom line: The Galaxy S 4 lacks the premium design that its high price warrants, but redeems itself with expandable storage, a removable battery and widespread availability. Key specs: 5-inch 1080p (1,920 x 1,080) Super AMOLED display, 1.9GHz quad-core Snapdragon 600, 13MP rear / 2MP front cameras, 16GB / 32GB / 64GB expandable storage, Android 4.2. The Nexus 4 is no longer the only game in town if you want stock Android, but it's far and away the least expensive option. At just $299 unlocked, the phone remains a fantastic value, especially given its excellent performance and build quality. What's more, since software updates come directly from Google, the Nexus 4 is all but guaranteed to be first in line to receive the latest versions of Android. Sadly, the low price of the Nexus 4 comes with a sacrifice of storage capacity, camera quality and battery life. Its lack of LTE connectivity is also difficult to ignore. The bottom line: The Nexus 4 is the best value on the market today, and is the least expensive path to the wonderful world of stock Android. Key specs: 4.7-inch WXGA (1,280 x 768) True HD IPS display, 1.5GHz quad-core Snapdragon S4 Pro, 8MP rear / 1.3MP front cameras, 8GB or 16GB non-expandable storage, Android 4.2. Even if your smartphone search is confined to the prepaid carriers, you've got at least one great option with the HTC One SV. The phone succeeds by emphasizing quality components where it matters -- most notably, the 5MP BSI camera, Snapdragon S4 Plus chipset, S-LCD 2 display and LTE connectivity. All of that's packaged within an attractive enclosure and sold for a reasonable price. 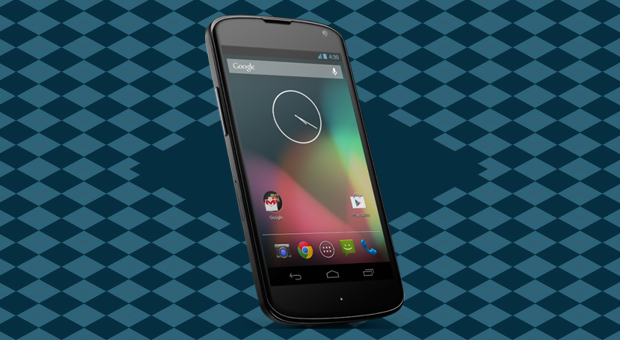 Naturally, the Nexus 4 stands as another excellent choice for going prepaid (especially with T-Mobile MVNO's such as Solavei and Simple Mobile), since it's priced similarly and represents an even better value. That said, it's nice to have options, and the HTC One SV is an excellent one no matter how you look at it. 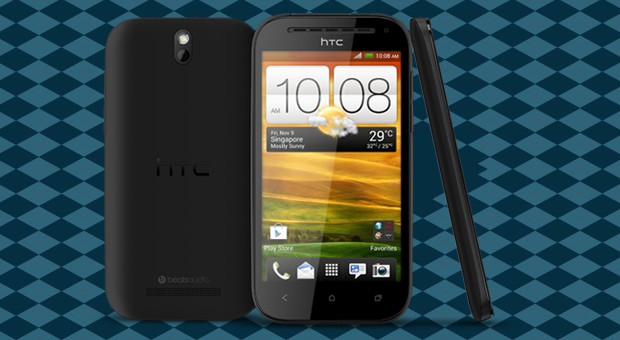 The bottom line: The HTC One SV takes the prepaid Android smartphone realm to new heights. We love it and think you will, too. Key specs: 4.3-inch WVGA (800 x 480) S-LCD 2 display, 1.2GHz dual-core Snapdragon S4 Plus, 5MP rear / 1.6MP front cameras, 8GB expandable storage, Android 4.1. If you long for an Android smartphone that's easy to operate with one hand, look to the Droid RAZR M, which is among our favorite compact handsets on the market today. The phone offers enviable performance and battery life within its class, and we're also quite fond of its camera. Beyond its smaller size, the Droid RAZR M deserves consideration if you're unable to splurge on a new smartphone, as it's commonly available for free with a two-year contract. That said, the Droid Mini has already been announced as its successor, which is due for arrival on August 29th. The bottom line: Think most Android smartphones are too big? Too expensive? 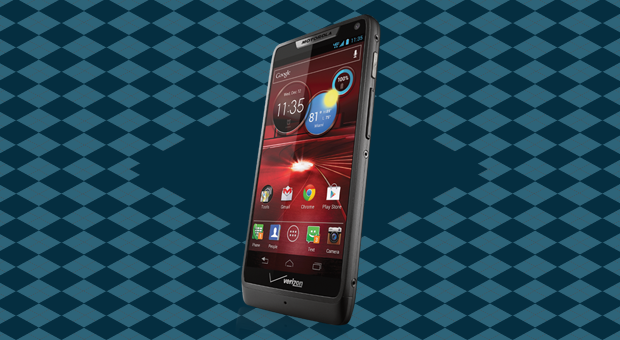 Get the Droid RAZR M and buck the trend with something great. Key specs: 4.3-inch qHD (960 x 540) Super AMOLED Advanced display, 1.5GHz dual-core Snapdragon S4, 8MP rear / 0.3MP front cameras, 8GB expandable storage, Android 4.1. Even with its storied past, BlackBerry is essentially the new kid on the block with a brand-new OS that's known as BlackBerry 10. As with any new platform, you're likely to experience growing pains until the software (and ecosystem) matures, but even at this stage, you'll find over 100,000 apps at the ready, along with an operating system that excels at the communication and typing experience. 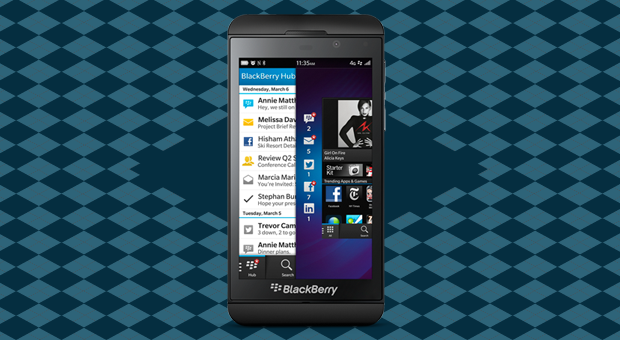 Whether you're a loyal BlackBerry fan or you're simply looking to try something new, the Z10 currently stands as the only way to experience the blossoming world of BlackBerry 10. On the upside, the smartphone itself is thoroughly competent, and it's a safe bet if you're comfortable with life as an early adopter. Naturally, because the Z10 uses a full touchscreen, traditionalists may prefer the physical keyboard on the Q10. But with a significant trade-off in screen real estate (and an excellent virtual keyboard on the Z10), the all-touchscreen Z10 seems a better bet for most users. The bottom line: The Z10 is a very good smartphone and stands as a worthwhile choice if communication is central to your daily life, but you're likely to experience growing pains until the ecosystem matures. Key specs: 4.2-inch WXGA (1,280 x 768) LCD display, 1.5GHz dual-core Snapdragon S4, 8MP rear / 2MP front cameras, 16GB expandable storage, BlackBerry 10. The iPhone 5 is a premium device in every regard, featuring impeccable craftsmanship, an excellent camera and nimble performance. Given the phone's compact size, it's also an outright winner if one-handed operation is on your list of must-haves. With iOS, you'll find unique software features such as Siri, along with timely updates, access to a massive library of apps and freedom from carrier bloatware. Keeping with tradition, it's likely that Apple will introduce a new smartphone this fall, which could be reason enough to wait a few months before making your purchase. That said, the iPhone 5 is set to receive iOS 7 in the coming months, which promises to bring a fresh face to the familiar device. 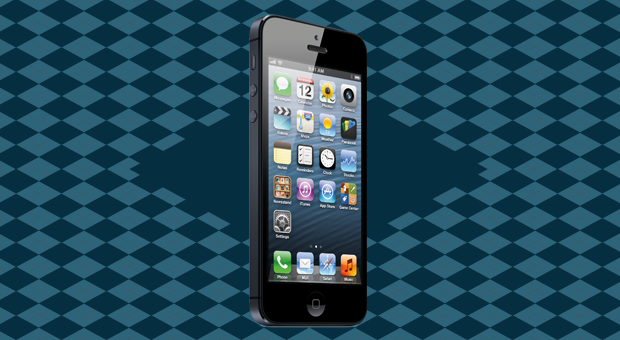 The bottom line: The iPhone 5 ranks among the very best smartphones out there, and it's our top pick among compact handsets. Do yourself a favor and grab an unlocked version, if possible. Key specs: 4-inch (1,136 x 640) IPS Retina display, 1.3GHz dual-core A6, 8MP rear / 1.2MP front cameras, 16GB / 32GB / 64GB non-expandable storage, iOS 6.1. Let's face it; you can get a lot of smartphones for free on contract that are straight-up cheap. The iPhone 4 isn't one of them. It features superb construction, an impressive camera and the fantastic Retina display. That said, the iPhone 4 is showing its age; it lacks LTE connectivity and doesn't support Siri, panorama mode or FaceTime over cellular. If you decide the iPhone 4 is a good fit for your needs, be sure to go with AT&T's version, which offers data speeds that are significantly faster than its peers. 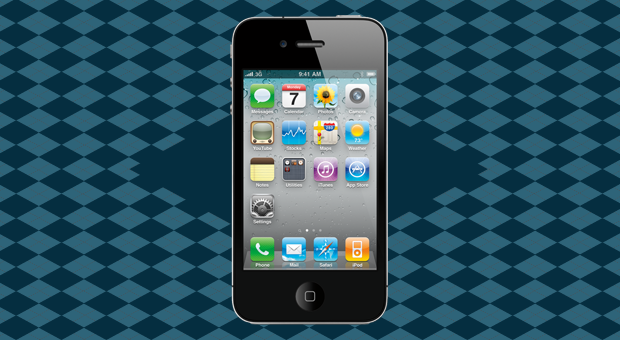 As an encouraging sign, the iPhone 4 is set to maintain its relevance for a little while longer with an update to iOS 7. The bottom line: The iPhone 4 lacks LTE and some of the advanced features that iOS offers, but it's a premium device that's friendly on the pocketbook. Key specs: 3.5-inch (960 x 640) IPS Retina display, 1GHz A4, 5MP rear / 0.3MP front cameras, 8GB non-expandable storage, iOS 6.1. The Lumia 1020 is a highly anticipated new arrival at AT&T that weds an advanced 41-megapixel camera to a smartphone that's otherwise a dead ringer for the Lumia 920 family. The 1020 caters to photo enthusiasts, and in this sense, it isn't a mainstream smartphone. It sports a sizable protrusion on the phone's rear that houses the camera's six-element Carl Zeiss lens; a 1/1.5-inch, 1.1-micron BSI sensor; and optical image-stabilization hardware. In addition to the stellar imaging performance, we recommend it for its smooth performance, long battery life, solid build quality and excellent display. Our main problem? That honking camera around back makes the 1020 less comfortable to hold than other phones. The bottom line: The Lumia 1020 is the best Windows Phone we've seen yet, even if its protruding camera does make it a bit unwieldy. Key specs: 4.5-inch WXGA (1,280 x 768) PureMotion HD+ AMOLED display, 1.5GHz dual-core Snapdragon S4, 41MP rear / 1.2MP front cameras, 32GB non-expandable storage, Windows Phone 8. 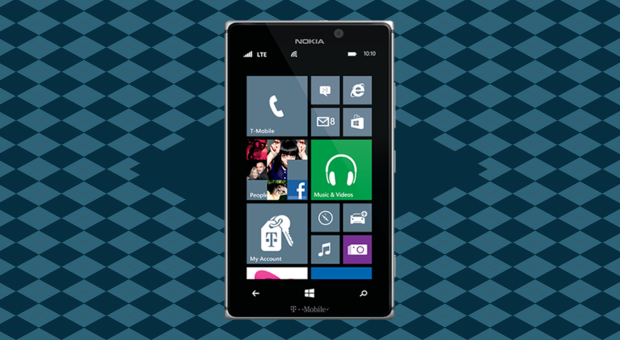 The Lumia 925 is currently exclusive to T-Mobile and brings some worthwhile improvements over the original Lumia 920 at AT&T. First and foremost, the phone is slimmer and lighter, and considerably easier to hold. The Lumia 925 also sports a refined camera, better battery life and a more vibrant AMOLED display, along with the latest software innovations from Nokia such as Smart Camera and Glance. If you aren't sold on T-Mobile as a carrier, the Lumia 920 at AT&T ($100) and the Lumia 928 at Verizon ($100) both stand as quality substitutes. All phones within the family include cameras with optical image-stabilization hardware, which results in better nighttime performance and more stable video. Likewise, each of the phone's displays feature polarized filters for better visibility in direct sunlight, and can even be operated when wearing gloves. The bottom line: The Lumia 925 brings a handful of improvements and mainstream appeal to the Lumia 920 family. It's your best bet if the Lumia 1020 is beyond your budget. Key specs: 4.5-inch WXGA (1,280 x 768) PureMotion HD+ AMOLED display, 1.5GHz dual-core Snapdragon S4, 8.7MP rear / 1.2MP front cameras, 16GB or 32GB non-expandable storage, Windows Phone 8. If you're thinking that an entry-level smartphone can't be desirable, then you haven't seen what Nokia's been up to recently. Unlike wimpy Android phones that cheap out with low-res displays, the Lumia 620 features a proper WVGA resolution that looks great when condensed into a compact, 3.8-inch screen. The phone's also rather quick, and feels every bit as nimble as the flagship Lumia 920. Combine this with great battery life, plus a camera that handily bests others in its class, and it's easy to see why this one's a winner. 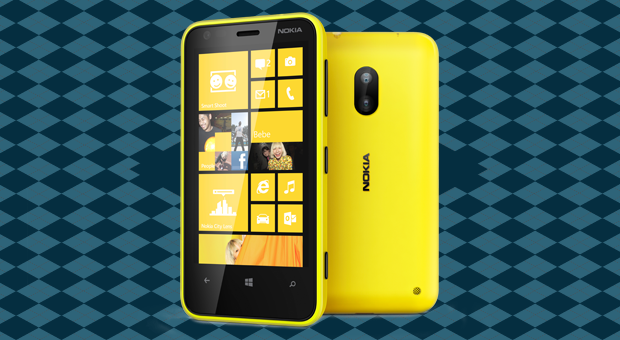 The good news doesn't end there, however, because the Lumia 620 also features tons of personality. Its replaceable, two-tone rear shells are delightfully colorful and surprisingly rugged. Also, as a brilliant bit of engineering, the unit's headphone port is contained within the replaceable shell, which makes for an easy fix should any damage occur. 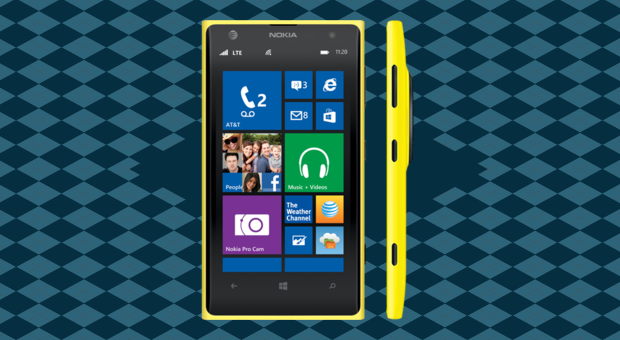 You won't find the Lumia 620 available from the carriers, but you can snag it for under $240 unlocked. Very impressive, indeed. The bottom line: The Lumia 620 is an incredibly compelling option if you're seeking a compact Windows Phone or an unlocked handset. It's also quite a steal. Key specs: 3.8-inch WVGA (800 x 480) ClearBlack display, 1GHz dual-core Snapdragon S4 Plus, 5MP rear / 0.3MP front cameras, 8GB expandable storage, Windows Phone 8.